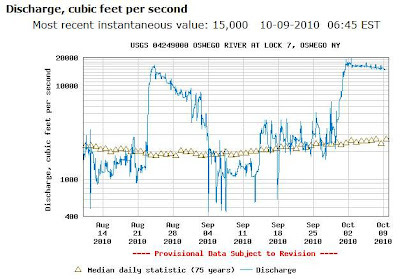 Another day in paradise ... here is the water level hydrograph for lock 7 in the Oswego River. 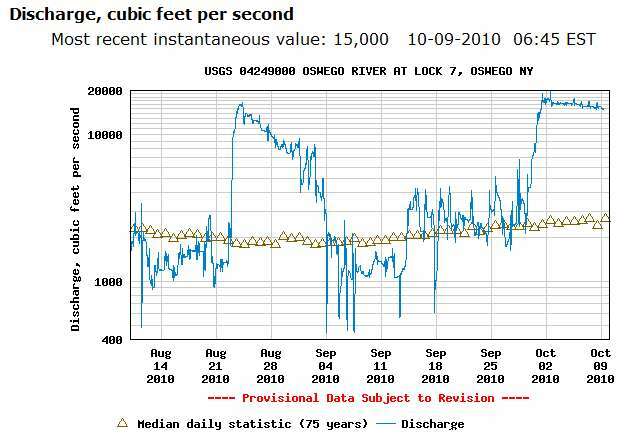 We keep a close eye on this graph as we hope that the watershed for the Oswego will drain quickly one the drain starts. We will see if this hypothesis becomes reality ... we hope so.